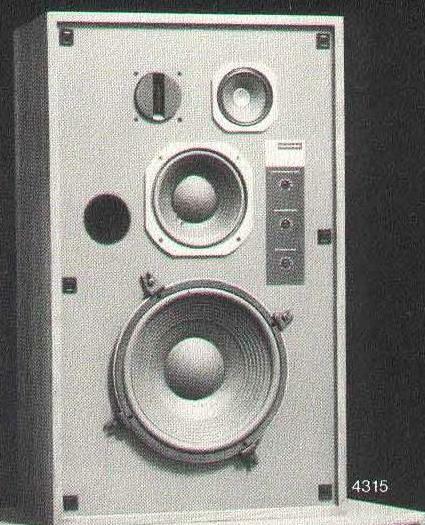 The L250 was JBL's flagship speaker throughout the 1980's and remains in limited production to this day in special editions. It is one of the most critically acclaimed speakers JBL ever produced, and remains the favorite of its accomplished designer - Greg Timbers. The L250 was the ultimate refinement of a 4-way concept that Greg Timbers pioneered in the 4315 monitor of 1974. The four-way concept allows for very wide dynamic range since the individual drivers are called on to reproduce a relatively narrow range of frequencies and therefore the overall system can handle more power. Within their narrow range, each driver can be fine tuned in the network design to result in an inordinately flat response. The first domestic expression of this concept was the ground breaking L212 of 1977. 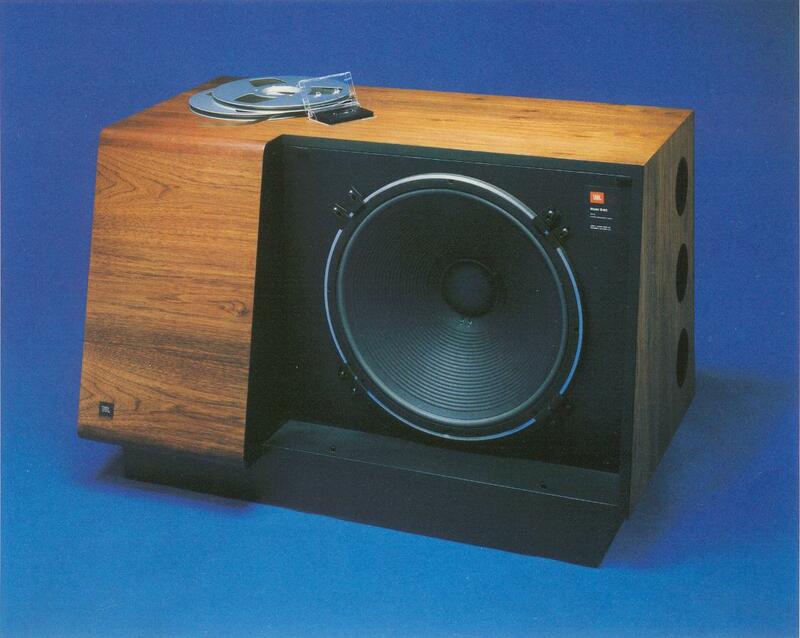 This was one of the first satellite-subwoofer designs and the first to incorporate a powered subwoofer. It consisted of two floor standing satellites containing an 8" woofer, 5" midrange and 1" aluminum dome. A single 12" subwoofer, powered by a 75 watt amplifier handled bass frequencies below 70hz. The speaker was designed by Greg Timbers, Steve Lyle and Lorr Kramer. 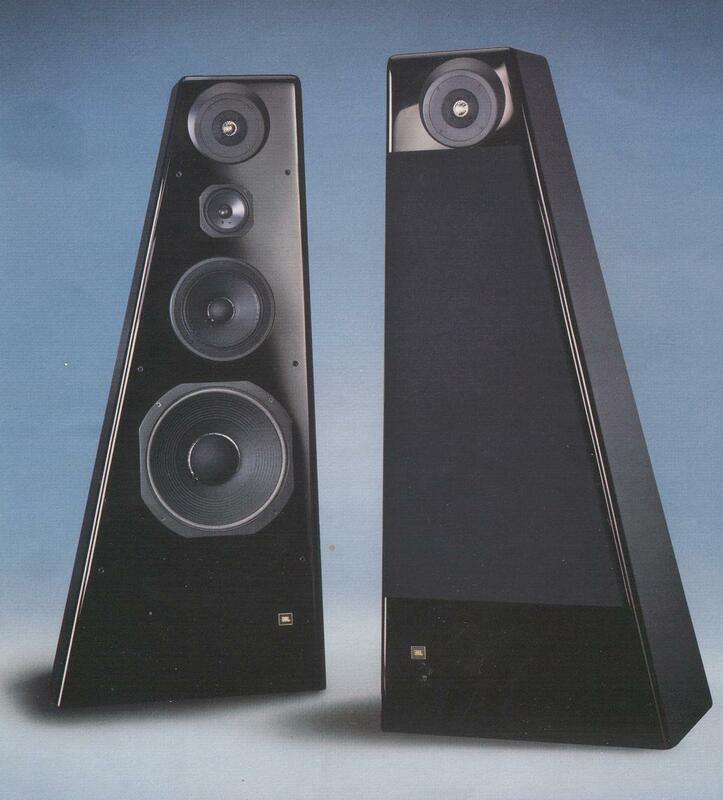 It was JBL's first time aligned system and resulted in a speaker with unparalleled soundstage coherence. Unfortunately, this system was not a marketing success. It was very expensive to build and was too significant a departure in sound from JBL's horn based speakers of the past. Greg remained undaunted in pursuing this concept. He developed a prototype of what would become the L250 as an avocation outside of his work. He built this prototype at home and auditioned it to anyone that was willing to listen. It took a number of years to convince JBL management to actually produce the system. As Greg describes it, the prototype was an "engineer's system". Aesthetics weren't a primary concern, and the original had the form "of a very large metronome". There was method to this madness. The irregular shape prevented the formation of standing waves in the enclosure. The tapered design minimized the area of the baffle visible to the midrange and high frequency drivers and mitigated cabinet diffraction. As with the L212, all of the drivers were time aligned. The production L250 was introduced in 1982. The B460 subwoofer was developed at the same time, and was marketed with the L250 as the ultimate accessory. Given that the L250, was flat to 30hz, it could function quite capably without the subwoofer. Nonetheless, the addition of this sub resulted in the first JBL system that had frequency extension beyond the limits of human hearing at both extremes. 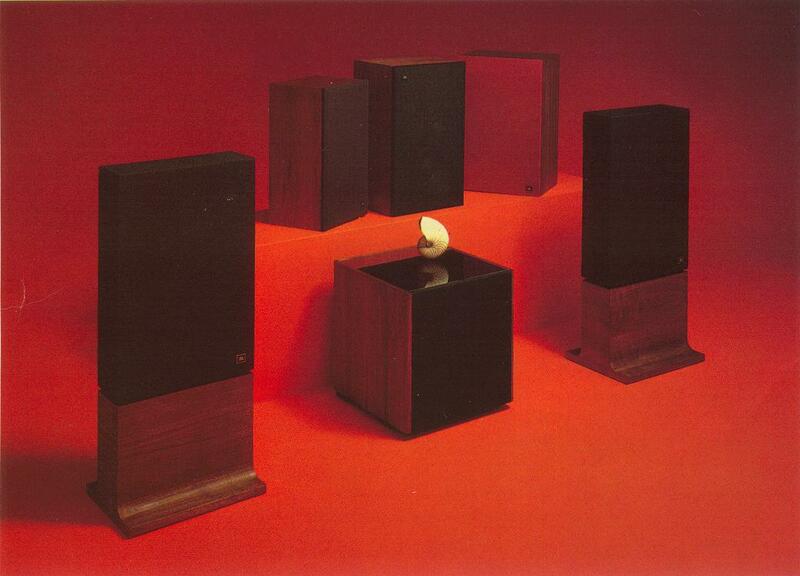 The industrial design was performed by Doug Warner and was an elegant expression of the speaker's function. Doug was responsible for recommending the trapezoidal enclosure shape that accomplished the engineering function of the original pyramid design, but resulted in a more satisfying, understated appearance. The driver compliment in the L250 consisted of the LE14H-1 bass driver, the 8" 108H midbass, the LE5-11 midrange, and 044-1 aluminum coated dome tweeter. 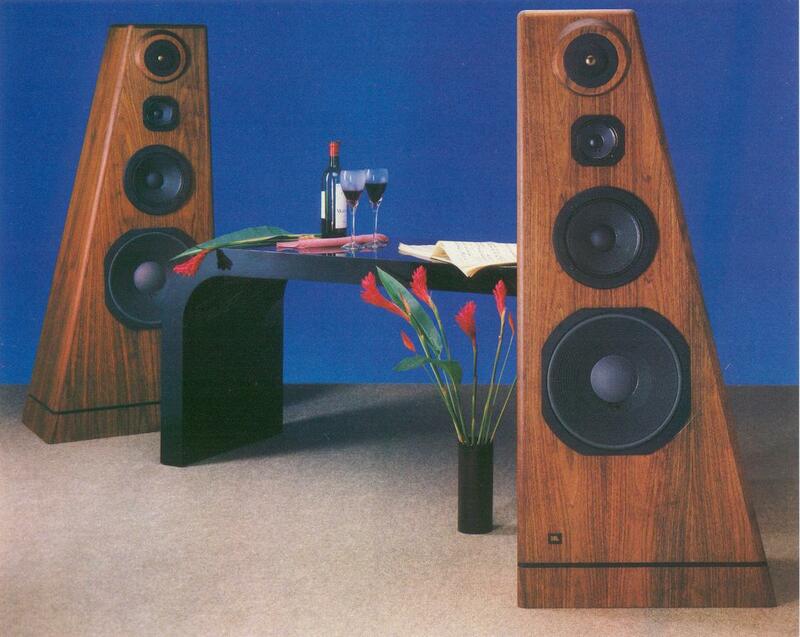 In 1984, the tweeter was replaced with the titanium diaphragm 044Ti and the midrange was replaced with the 104H. This midrange driver was the first JBL transducer to use a polypropylene cone. The revised system was named the L250Ti and the driver compliment has remained pretty much constant thereafter. There were a number of refinements in the network designs through various re-issues such as the Limited Edition, Classic and Jubilee. The latest Jubilee incorporates the "Charge-Coupled Linear Definition Dividing Network" that was pioneered in the K2-S5500. A measure of the high regard of this system within JBL is the fact that it is the speaker of choice for their senior staff members. For example, Garry Margolis and Drew Daniels could choose from virtually any system from JBL's inventory for their home systems during their tenure at JBL. They both chose the L250Ti. The ultimate vote of confidence is represented by the fact that this is the home speaker system used by the company's chairman, Dr. Sidney Harman.